There are quite a few dividend payers in Canada but I believe you shouldn’t strive to own them all. Why on earth would I say that? While dividend payments are great dividend payments AND dividend increases (hopefully every year) are even better. Thanks to another recent reader question about Canadian stocks to buy and hold – I figured I’d share some of my favourite Canadian dividend paying stocks from key sectors across our Canadian economy. These companies not only pay dividends but many of them tend to increase them every year – including 2018. We’ve owned all seven (7) major Canadian banks across various accounts (non-registered, Tax Free Savings Accounts (TFSAs), and Registered Retirement Savings Plans (RRSPs)) for many years now. We own them because these companies have provided tidy total returns and if the past is any remote predictor of future results, Canadian banks will continue to pay dividends for the foreseeable future. 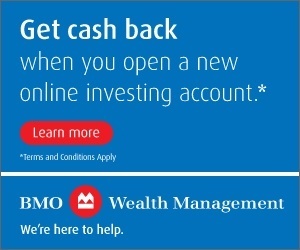 Bank of Montreal (BMO) – paid dividends since 1829. National Bank (NA) – paid dividends since 1980. Laurentian Bank (LB) – paid dividends since 1886. Unless these companies cut their dividend we will continue to own these stocks going forward. Of note, historically, along with lifecos and other financial companies, the financial sector tends to make up between 30-40% of the total Canadian stock market index. So, as Canadian banks perform (or don’t perform) so goes the Canadian index to some degree. Enbridge – paid dividends since 1953. Pembina Pipeline (PPL) – paid dividends since it was a trust, since 1997. Inter Pipeline (IPL) – like Pembina, paid dividends since it was a trust, since 1997. Ah yes – “Robellus” – the moniker assigned to the biggest telecommunications companies in Canada: Rogers (RCI.B), Bell (BCE), and Telus (T). We own all these companies since I figure if you can’t beat them, you might as well join them. Rogers (RCI.B) – paid dividends since 2003. Telus (T) – paid dividends since 1999. Unless you’ve been living under a rock for the past few years you should know by now that our country’s valuable oil and gas energy sector can be very cyclical and rather volatile. Even as the wild oil price roller-coaster continues I remain invested in only a couple of Canada’s big energy companies – for dividend income (but also for the hope of longer-term capital gains.) Buyer beware in this sector with any of these companies. Like other sector ETFs, instead of holding any utility Exchange Traded Funds (ETFs) (that charge us modest money management fees) we decided to simply hold the top-stocks in such funds directly. Over the years we’ve been building the utility sector of our portfolio and this will continue down the road as well. 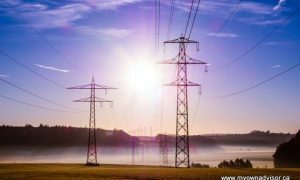 Here are the dividend histories of some popular utility companies. Fortis (FTS) – paid dividends since 1972. Fortis has increased their dividend for 44 straight years. Emera (EMA) – paid dividends since 1992. Algonquin Power (AQN) – paid dividends since 2009. 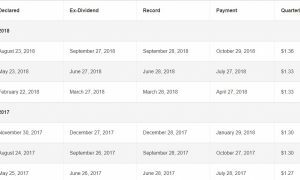 So there you have it – a deeper look into the dividend histories of many popular Canadian dividend paying stocks including many of the ones I own. I’ve certainly left out a number of other solid Canadian dividend payers (including more stocks that I own from the U.S. in particular) but these are some of my favourites from our True North, Strong and Free! These Canadian companies, almost regardless of stock market performance including this year, continue to pay us quarter after quarter almost like clockwork. As you can see above, they often increase those dividend payments each year. Keep those raises coming! Disclosure: None of these stocks are recommendations for purchase. I am however stating based on the shareholder-friendly histories of these companies, if you’re going to buy-and-hold Canadian stocks that have paid dividends for decades, in some cases generations, this could be a starting point for your research. I own most of these companies above. I have no intention of selling any of these companies at this time. What do you make of my list? What companies would you include as stellar dividend payers and growers in Canada? 138 Responses to "Some of my favourite Canadian dividend paying stocks"
FYI: BEP.UN has paid distributions since 2003, not 2011 as you show. I’m surprised you chose BEP.UN over Brookfield Infrastructure Partners (BIP.UN). Its the top performer and dividend grower of the Brookfield spinoffs. I own both plus Brookfield Property Partners (BPY.UN). They all have good global diversity. You’re right my friend – updated! Good catch. I own BIP.UN as well but not yet BPY.UN. I am considering owning BPY.UN inside my RRSP. Thoughts? Mark, I own BIP.UN, BEP.UN and BPY.UN in my RRSP. Good yields, good DGRs, good diversity of assets, well managed. IMO one can’t go wrong with Brookfield companies for a buy and hold portfolio in a registered account. I am also firmly a Brookfield fan. Major holdings in BAM.A, BEP.UN, BIP.UN and very large holding in BPY.UN. IMO these are basically small diversified mutual funds. If I didn’t already have too much of BPY I’d seriously be considering buying some more. Hummm, I’ll keep watching BPY.UN. Seems to be a fan of some wealthy followers/readers here. 🙂 Anything around $26 or so is good for me. Would be nice to buy 100 shares. It would be nice to get BPY.UN DRIPping inside my RRSP. Price hasn’t gone far in 5 years but the rising dividends will be nice. Stock price for BPY.UN was under $24 in May 2013. Under $27 now. I’m DRIPping BIP.UN and BEP.UN x2 each every quarter. BPY.UN has great properties so the potential is there for when the public sentiment changes. In the meantime their dividend growth is greater than most REITs so you get paid well to wait. Fair point. I like to get paid 🙂 Will consider my RRSP for that one. BPY.UN is/remains an interlisted stock no? I recall it also pays dividends in USD like other Brookfield companies. Interesting post on Brookfield. The posts here caused me to have a relook at some of the exchange & tax issue raised. We own several hundred shares of each BPY.UN and BIP.UN both in each of our TFSA’s held at RBCDI. At one point I held BPY on the US side of TFSA and had it exchanged for BIP.un when I decided I wasn’t going to use the US cash for years in that acct. Thought I’d post my experience. For BIP my withholding tax amounts were .53 (53 cents CDN) for all of 2017. For BPY withholding tax amounts were 0. (zero) for 2017. The broker is responsible for doing these tax withholdings. So unless they are making a long term mistake this is basically a non issue re investing in a TFSA. According to Brookfield the exchange conversions are done at BOC exchange rate on the record date. However I did not know if RBC is also charging something on the conversion. When I called RBC the advisor was unable to confirm if there is a conversion charge but he thought so. I am expecting a call back with this information. It got me thinking is the conversion done by Brookfield (hence their statement about the currency exchange rate on the RECORD date a month or so before payout) or at the broker? I think Brookfield. In the meantime I have researched the BOC USD exchange rates for the record dates and checked the conversions using the US Brookfield distribution quarterly payout amounts vs. the equivalent CDN $ prices shown on my statement. The CDN rates used for my dividend payouts are exactly BOC rates so there is no fee/penalty to converting to .un (CDN version) other than the variability of the currency exchange which one also has holding it on the US side. Started to post all details but too much work!!! Why hold these in your RRSP instead of non-reg or TFSA? Bonnie, a TFSA would be fine too but I wouldn’t recommend a non-registered account. BIP.UN, BEP.UN and BPY.UN distributions are taxed as interest income, no dividend tax credit either. The challenge with Brookfield stocks inside a TFSA is they pay dividends in USD. So, you need to hold those U.S. stocks inside a US $$ TFSA. Otherwise, you are going to get dinged on CDN-US $$ conversions if you keep the stocks inside the CDN-side. Mark, so does that mean you hold your Brookfields in USD$ inside your RRSP? (In other words, youd invest in BPY instead of BPY.UN)? just only asking as I hadn’t thought of that before. Thanks. Correct. Why not hold the interlisted version? Otherwise you might be getting charged foreign exchange fees from CDN to USD $$. I would be curious to know what others do. I currently hold all Brookfields in my possession in the USD $$ side of my RRSP. I’m not understanding here Mark. There are no foreign exchange fees on dividends. I keep all of my holdings in $CDN currency in my accounts, always have. IMO it’s better to own the Canadian version of any interlisted stock. Why pay the exchange fees to buy when you don’t have to. Are you sure? Depending upon who you bank with, CDN stocks that pay dividends in USD will get converted but there will be a charge for this. Some brokers take a cut. I intend to hold BPY.UN and then move it as an interlisted stock to my USD $ RRSP side (to therefore hold BPY) since those dividends are paid in USD. That seems smart to me, hold Brookfield assets inside RRSP. Yes, that’s good – you can get the spot rate but not all brokerages are created equal. I recall some brokerages will charge a small conversion fee on USD to CDN dividends if you keep CDN stocks that pay USD dividends inside the CDN $$ side of your account. BMO and some others might be the “good guys” on this. TD, not so much. ….and those are in RRSPs not TFSA. I’ve never held BPY.UN in anything but my RRSPs. Mark, I’ve been with BMO InvestorLine since 2007. I’ve always kept my funds in $Cdn including foreign stocks. I’ve yet to be charged conversion fees on dividends. My Brookfield’s BIP.UN, BEP.UN and BPY.UN are held in my RRSP, now RRIF so I have no personal experience with holding them in a TFSA. However, I have communicated with others who do hold these in their TFSA. They haven’t had any of the fees/taxes issues you mention. I don’t see a problem with holding $USD dividend paying Canadian stocks in an RRSP, RRIF or TFSA but $USD dividend paying U.S. stocks should only be kept in an RRSP or RRIF to avoid withholding taxes. Totally agree Bernie – I don’t see a problem with holding $USD dividend paying Canadian stocks in an RRSP, RRIF or TFSA but $USD dividend paying U.S. stocks should only be kept in an RRSP or RRIF to avoid withholding taxes. I’m just saying some brokerages ‘take a small cut’ (not BMO) if they convert USD to CDN $$ for dividend payments for investors. Again, BMO doesn’t do this. I keep only U.S. stocks or U.S. ETFs inside my USD $$ RRSP. Mark, see my post above re Brookfield interlisted currency, tax and account type factors. One error in my post- I exchanged BPY for BPY.un and not BIP.un. I am wondering that you do not include any low yield high growth stocks, for example, CNR, MRU and ATD.B. Do you have any rule with yield? I own a small portion of CNR but not the others. My bias is for higher yielding and dividend growing stocks but I have nothing against consumer discretionary or industrial sectors. Do you own those stocks May? Yes, I do. I also want to buy Canadian tire, dollarrama, waste connection, but cannot push the button as they are all so expensive. Yes I agree besides the above, there are also sap, metro, atb. B, cnr, Canadian tire etc that are great. Fair questions! I’ve historically focused on stocks yielding more than 3 or 4%. So, yes, somewhat of a yield rule. That said, I do intend to buy more CDN dividend payers like these that can grow their dividends over time. If you don’t intend to sell stocks often – higher yield and growing dividends is better – thoughts? As I do not plan to retire right away, I do not set a yield rule. These kind of company may yield not much right now, but the yield increases quite fast. While it took bmo more than 10 years to double its dividend, cnr only less than 5 years. So in 10 years time, It’s possible I got better total return with cnr. At the time of retire, I might switch cnr to bmo then if I start to need the dividend for expense and my portfolio do not generate enough income. Another reason is diversification. Higher yield stocks are too concentrated in few sectors. I believe you meant to say the dividend increases quite fast, not the yield, unless you’re referring to your yield on cost (YOC). In most cases when the dividend yield increases quickly its brought on by a falling stock price. Thanks for correcting me. Yes, I was thinking about yield on cost. Sorry May, didn’t mean to correct you in particular. Just wanted to clarify things for some of the new dividend investors. I’ve noticed there often is confusion with the word “yield” as it can mean several different things. Fair. But if I look at the total return of CNR and BMO for example, the last 10 years are no contest. I like your call on diversification. Fair point in Canada, many higher yield stocks are concentrated in just a few sectors but I have confidence in those sectors. People aren’t going to stop banking in Canada – we love debt!!! Forgot to mention that I am in the process to sell low yield high growth stocks in rrsp and buy back in non registered account. I figure in the case total return is the same, I end up better with low yield high growth stocks in non registered account. I think lower-yield and higher growth stock non-reg. makes sense, reduce the tax burden or at least defer the capital gains burden until you sell right? If I buy some SAP (don’t own yet), more CNR, etc. I will likely put in non-reg. since a) TFSA and RRSP are maxed and b) for those low-yield reasons. Yes, exactly for tax optimization. I get less dividend now with higher tax rate, and I can choose to realize capital gain when my tax rate is lower. With less tax bleeding, hopefully I end up with more money in the account 10 years later. I also looking at the etfs that did not pay any distribution and would like to buy the us/international indexed ones in my non registered account for tax defer growth. I figure there will be a part of my non registered account not touched maybe for first ten years as I plan to exhaust our RRSP accounts first. If I look at 20 years time frame, I think it would be worth it. But I did not pull the trigger yet, Canadian dollar already slipped so much. Tax planning will be a heavy task for us if we retire before the kids go to university. I never imagined I could get Child benefit from the government. But inspired from the early retirement article you mentioned in last weekend reading blog, maybe it is possible to get some. We pay lots of tax every year and hardly get any back due to higher family income. It would be nice if we could get some. Who knows, maybe I will continue to work until 70 years old. Working life provides a structured life style for me and it’s actually good for people like me who has no self-control. LOL. We own ENF as well…I think it will come back in time! I think so too. Atleast we are being paid quite well while we wait! I agree Gary. I like and have no problem owning the pipes but Canadian oil/gas companies are falling out of favour with the ‘green” sector. I’ve limited my direct oil and gas exposure in my portfolio. As you can see though, I do own many pipelines. Do you think those dividends from ENB, IPL, PPL, TRP are at risk? Certainly the Boards of those companies don’t think so! They’re safe and supported by free cash flow in the near term Mark. Long term, tough to say. ENF is one of those that DRIP at a price discount (98%). Whilst it doesn’t make or break the decision to invest in it, I’m happy to take the discount every month. Agreed. Not yet DRIPping for me yet but in another month I should have another $3k to invest and I can likely get another 120 shares of ENF to start my synthetic DRIP. True, there are others that have a nice DRIP discount. Nice to take advantage of those offered by the company. Great list! I own all the stocks you’ve highlighted except for ENB, PPl, IPL, and BEP.UN. Hopefully over time I’ll own them when they become undervalued. What I meant to say was, “Hopefully over time I’ll own them when it comes time for me to buy, and they’ll be undervalued then”. Agreed a few of these are undervalued right now. But I won’t be buying them right now, because I’m pretty much fully invested and am holding some cash for better opportunities. – is the company recession proof? – does the company have a low-cost durable (lasting) competitive advantage? Excellent points. That’s good data to consider but as we all know the future is always very cloudy. My favourite is: “is the company recession proof?” This is critical. I know what you meant 🙂 I personally look for around 52-week lows and rising cash flows or EPS. That combination is good and if the holding period is in many years, as in decades, then buying now might not be a poor time at all. The problem is you never know what holds for the future. I bought ENB and enf around its 52 weeks low last year and also averaged down when it went lower, but it broke the five years low after that. I am in deep water now. And for some of the stocks, like ry, it’s not likely I will be able to get it at 52 weeks low, so better just buy it in a pull back. IPL is under valued. What are you talking about? So is ENB! I disagree that you must only buy when a stock is undervalued! Why? Mike, undervalued will get you more dividends per dollar of investment. That said, if you’re buying for the long term or adding to an existing position the stock price isn’t as critical. I’m the same as you Mike. I try and buy around 52-week lows but really, if your holding period is decades, then buying now is likely as decent a price as any. Just my thoughts. The best time to invest was usually yesterday! I might not consider EIF to be a “stellar” performer but we still have a fairly large holding of it now. I was prevented from buying this stock when it first came out but I did hold their debentures for years. I’ve only held their stock since 2015 when I retired. I don’t own EIF yet. Price is coming down for me which is nice! Do you own this in a registered account? Ya, all my market investing is done in registered accounts. Both RRSPs have stock (1250/799) and all the CDs have matured so none of those remain. This is another stock that has the discounted DRIP (97%). Haven’t looked into EIF much but I know it’s been a decent payer with decent yield. Both utilities and pipeline stocks are undervalued at the moment. Cu, fts, ema, enb, ipl. Own them all and DRIPping all of them so I am adding to these shares every quarter. Surprised that these stocks are so beaten up. I don’t get it. So why are the pipelines and utilities going down – if interest rates did not go up today? No idea. Bearish on energy in Canada? Perhaps because many of these utilities and pipelines have significant debt and are more negatively exposed to interest rates. Markets are forward looking and seem to be indicating belief there will be future rate hikes – maybe more than we think. Mike, stock prices are mainly driven by sentiment. Even the fear of future interest rate increases will create negative sentiment and trigger momentum selling. The best investors are the ones who filter out the noise (news), hold long term and buy good companies when prices are cheap. I would agree with that – established, i.e., good companies to buy and hold long-term and filter out noise. Like tariff wars?? There are no real tariff wars yet. So far its all talk and little action. Regardless, there’s no reason to fiddle with ones portfolio over something that won’t be an issue after common sense prevails and/or regimes get replaced. If you have good blue chip companies in a diversified portfolio and in no need to add new money sit back, relax and enjoy life. Turn BNN off. I agree. I’m not really fiddling with anything…only looking at what I can buy more of as my savings to investments increases my cash position with time. Don’t really watch BNN – it is entertaining at time though! I’ve often suggested that 15 Canadian stocks would be all one needs to get good diversification (with the exception of the US) and your list provides just that. They include 12 of my 13 and you’ve mentioned BIP so these are the ones we’ve got all our investments in. I’d suggest for those who feel they need broader international holdings to add 5 US stocks in their RRSP. 20 stocks to buy, add too when the prices drop, reinvest the dividends, hold and let them compound over time. No fees, no re-balancing, no group of holdings you wouldn’t want to buy in the first place and a growing income. What could be simpler. I think your recipe is a very good one cannew. I just don’t (yet) feel comfortable owning just 13 or 15 or so stocks. I figure 30 CDN is good for me + 10 US and then some low-cost ETFs for diversification (and growth). As long as you are meeting your objectives – that’s all that matters. You’ve likely exceeded your expectations! I better restate what I’ve said in the past or get blasted. I suggested that one would be better Concentrating on a select group of Solid DG stocks. I don’t feel you need to own every sector and Energy or cyclical stocks are ones we no longer hold. But Marks list does provide a fairly good diversified selection and its ones we’re sticking with. Sometimes holding too much of a good thing is good. One thing you haven’t mentioned (or at least I haven’t seen you mention) but I know you know is that for some people, it is not necessary to chase after the best or highest returns. We don’t have to beat an index, we don’t need to be the richest guy in the comment section. There are many of us that are comfortable with what we’ve invested in and gets us what we want/need. Boring can be just fine. Lloyd: your 100% correct, just above avg yield, consistent earnings and steady growth. Who cares if they match or beat benchmarks, or if the market is up or down, as long as they pay and grow their div. OVER TIME. I watched a YouTube video with Mr Buffet the other day. The title is what hooked me and I never really paid much attention to the interview. Smart guy. You as well! I’ve always said smart investors take on only the risk they need to take, and nothing more, to meet their financial objectives. Its very similar to Mawer’s “Be boring, make money”. 🙂 That’s a good thing when it comes to investing as you know and preach. I’m looking forward to the day when we reach our crossover point – dividends will cover most expenses. That will be a very, very good feeling and I’ll know my financial plan worked out. I figure it’s just past the $1 M in portfolio value mark (excluding any workplace pensions or CPP or OAS). I am not so confident that Solid DG stocks will stay solid forever. Manulife, GE, and Kinder Morgan are a few examples. Personally I would be more comfortable with more diversification. My target list of canadian dividend stocks to own is about 30 across sectors. You sound like me rn – but I do avoid some sectors like consumer sector – it just seems so discretionary that people can change their shopping habits; as they should. I mean, what forces people to shop at Metro? Sure, they pay a dividend but there are no guarantees that chain will thrive long-term. On the other hand, who has billions and billions of dollars to build an energy network like ENB or FTS? Very few. Thats a good point mark. I buy stocks in comsumer sector for diversification. That said, only established companies with good balance sheet. The products at metro is more expensive than iga etc. However, everytime i pass by metro, there is always a lot of people. Some people just enjoy paying more for their goods. Also metro has made some great acqusitions e.g. premier moisson (well known bakery)and adonis (grocery chain). Canadian tire is another home brand that seems to be doing well. I think there is too much fear of interest rate hikes. When in fact rates are still historically low. EMA, CU, FTS, ENB, ENF are all on sale! So what if rates go up a full 1% over the next 18 months. Will not hurt these companies. ENB would be the only one to in this group with mild concern – but they said they will be selling some non-core assets and will clean up the balance sheet. Moving my portfolio to 35% utilities and pipelines now. Is this too much? I can’t judge your utilities/pipelines content because I also have a high percentage of these stocks myself, 33.3% of my income to be exact. For comparison sake I looked at the wallet of two outstanding Canadian funds to see their breakdown. Canadian Equities mutual fund Mawer Canadian Equity (MAW106) currently holds 1.81% utilities & 10.59% energy. They are down 3.45% YTD in TR. Canadian dividend growth ETF Powershares Canadian Dividend ETF (PDC) currently holds 14.95% utilities and 17.39% energy. This one is down 6.43%. There is no right or wrong here. I’d say to just stay within your risk tolerance. Just checked, I have 20% in utilities/pipelines. Maybe now is a good time to buy more. Very interesting on people’s holdings. I’m surprised to see some similar splits to ours. I’m 65, have been retired for 5 years, and my wife & I live off dividend income, my CPP, and soon my OAS (next month). My wife was stay at home so no CPP and she is 61 so no OAS yet. As an aside, if all goes well, she will start it right at 65. We believe in getting OAS while you can as it certainly isn’t guaranteed for the future. Our holdings consist of 25 stocks, 2 ETFs, and 1 mutual fund (PHN High Yield Bond which has a MER of 0.89% so similar to the same ETFs but with active management). Our sector split is 25% utilities, 20% midstream/pipelines, 18% REITs, 16% financials, 10% telecom, and 11% other (things like ECI, PKI, VNR, etc). No E&P producers, consumer, technology, mining, precious metals, etc. Of the 25 stocks, 20 have raised their dividends in the last year. Obviously it’s a very concentrated portfolio but it’s been working well. In the 5 years since retirement (without any new income), our combined portfolio is up 27% (after withdrawing what we need for expenses and for building our cash wedge). I will admit that a big chunk of this was very fortunate timing in that we converted from the accumulation stage to the dividend income/growth stage in 2013 when many of the dividend companies were “on sale” with one of the interest rate tantrums. Anyway, very, very interesting to see all these comments and all the dividend investors. I also have PHN High Yield Bond. It’s closed now to new investors. It’s performed quite well since inception. One additional comment – all our holdings are listed on the TSX and all non-reg account dividends are eligible for dividend tax credit. We get our foreign exposure through some holdings being international companies – eg: AQN, BEP.UN, BIP.UN, BPY.UN, BNS, etc. How about the etfs you hold? Also concentrated on Canadian equities? Yup – FIE & ZWB to get some more financials.We also have BNS & RY and that’s it for financials and that’s why the lower percentage for financials of total portfolio (ie: 16%). If we do add more at some point, we would probably add TD. Cool on your PHN. It sure has been a good steady eddy although I’d prefer a steady distribution and just have them do a partial Return of Capital. No matter though as we sure like it.We’re with RBC Direct Investing so can hold their series “D” with the lower MER. It sounds like you have a very similar approach to what we did at your stage. It’s a bit of a different ball game being in the accumulation phase where it’s all about total return vs retirement phase where’s it’s mainly about income generation. I was thinking earlier this week that this is getting to be another one of those great times to add more dividend growth stocks (like early-mid 2013, mid 2015, late 2016, mid 2017, etc). We’re always fully invested so hardly ever buy anything new so doesn’t affect us but fun to think about. Pardon my curiosity but why do you prefer to own FIE? It has a very high MER of 0.94% and not one of its 23 holdings yields as much as the fund itself. In essence, the bulk of the monthly distribution is your own money returned back to you as a “return of capital”. Why not just buy the holdings instead? Hey Don, why did you decide to go with only 16% financials? Seems low to me. I was actually just posting a comment for May when this came in. I totally agree that it is low. I basically substituted extra REITs for financials for the higher yield. I have AX.UN, BPY.UN, DIR.UN, GRT.UN, HR.UN, NVU.UN, and NHW.UN for 18% of total portfolio. I waffle a bit as to whether this is a mistake or not. I sure do like the high yields and BPY and GRT generally increase their distributions but you sure can’ beat the banks for raising dividends. As an aside, I had held AAR.UN and sold all right away at $8.11 when the take-over was announced on Jan 9, It’s one of the few times that I’ve had a big chunk of dough to invest and did so right away. I thought about more banks but thought they were near a high so decided against it. If I do get more dough, I’ll certainly consider TD. Interesting Don. You still own 18% of your portfolio in REITs then? I own a few of those above, but not BPY.UN or NHW.UN. Great and fortunate call on AAR.UN. Well done! Love this discussion. One of my favourite topics along with anything to do with retirement (ie: drawing down RRSPs, when to collect CPP, etc, etc). You’ve done a great job of writing articles and generating discussion on so many great topics. This is pretty much the only blog I post on and it is by far my favourite. I also really like the comments by the “regulars” like cannew, lloyd, rbull, etc. Back to biz, I do indeed have a large percentage in REITs. It’s just too hard for a retiree living off dividend income to resist the high distributions. It’s quite interesting that my 2 “worst” REITs, (AX.UN and HR.UN) – also 2 of my 3 worst overall) are down 13% and 7% from my purchase price back in 2013, but because of the big distribution, my annual return on each is still 4.2% and 4.1%. I figure this is pretty darn good if that’s the worst annual return a guy gets. As far as AAR.UN goes, it’s always a little sad to say good-bye to a great company. I got in at $4.43 in late 2014 so a $8.11 sell price was a huge gain. Biggest problem for me was finding a spot to invest the dough. I really hate having any extra cash in the portfolio (I keep our cash wedge in a separate regular bank savings account), so felt compelled to “spend” it. It’s actually quite amusing that it only took me 3 days to put it all to work. I hate trying to time the market but generally I buy in increments. In this case, I added to 7 existing holdings and bought a starter position in 2 new ones. I too love these kinds of discussions. It’s almost like a coffee shop talk. Everyone puts something in and it gets kicked around. Not everything is for everyone but it’s great conversation. I have Temple CDs (2 RRSPs and my LIRA) that are maturing at the end of this month and I’ve waffled about 20 times as to what the heck to do with the $$. I don’t like buying an array of stuff as each buy costs $$. I’m kinda leaning towards some TD e-series Euro and some BAM.A but I’ll keep my mind open and see where everything is at at the end of the month when the $$ becomes available. I’ve already withdrawn this years RRSP and based on 2017 taxes I’m right where I wanted to be, just a shade into the 20.5% bracket. I’ll also be building the next rungs on the GIC ladder on the 19th. I actually don’t keep track of sector allocation percentages. I track each stock but not as a sector. I always tripped up on where to put BAM so I just didn’t bother. Curious…do you withdrawn from your RRSP at year end or early in the next year – or both? I’ve been helping my parents out a bit, drawing down their RRSPs, and they tend to take money out early in the year every year (January). They do this to help them with tax planning. Do you think it matters? I don’t worry too much about sector allocation although I do try and keep my CDN portfolio close to the allocations in the TSX. For example, I would never be comfortable with 75% of my CDN stocks in just banks alone. I figure if we can have ~1 or more years in cash AND then spend the dividends and distributions from our portfolio (say $1 or $1.1 M) that should generate about $35-$40k or so per year every year (after taxes) – we’ll be in a good place. HR.UN has suffered. We own a few hundred shares of that but it DRIPs every month for us as does most the stocks we own. I don’t own AX.UN but it’s price is certainly down in the last five years. Yield is almost 8% on that one so I worry about a small dividend cut. Thoughts? So far it has been as cash became available. I had some orphaned GICs in the local credit union and I just de-registered them as they matured. I’d like to claim it was good planning that I hit my mark but it was luck. Those GICs are all finished now so unless I want to use my ‘under construction’ GIC ladder money (I don’t), any further withdrawals will have to come from our TD accounts and that costs money. I may have to bite the bullet and RRIF something but I’m hesitant to do that due to the variable farm income. I had a decent crop in 2017 that I just recently sold so 2018 farm income could be higher than I like and I now have the rental income that I inherited as well. Keeping my options open will likely be my default position. I can see how waiting until the end of the year to see where income levels are could be a consideration. However if a person has a predictable income it might not make that much of a difference. Well said Don on the great job Mark is doing. Retirement finances are also one of my favorite subjects and there is much insight offered on this blog/comments. Also interesting to read about some of the changes over time in investing and even things that are now available that weren’t before. I recall trading futures over 30 years ago and it was a big deal to get an account set up to do that. BTW, Mark nice list of div payers. I don’t own all but have plans to pick up a few more when the time is more opportune and as I slowly increase equity weighting. I have no rules on sector weightings but generally try and keep some balance but am mostly interested in sustainable growing dividend payers with some cap. growth potential. Right now for CDN 16 stocks, 6 reits, and one legacy ETF that I’m slowly unwinding, and could see another 4-5 or so stocks in the coming years. For equities it’s broad based ETFS for US & Int – VTI & VXUS plus HDV and IDV for a tilt to dividend payers. GIC ladders, corp bonds (mostly strip), govt RRB bonds, cash make up the 36% or so FI portion, and I have one hybrid- preferred share smaller position but I’m not sure I will continue to hold long term. RE RRSP withdrawals specific timing I don’t have any. Just take some money out periodically as needed and in accordance with plan drawing this thing down to smooth taxes, help with living expenses, top up cash, reinvest as possible and desired. My min LIF withdrawal happens 1st of March and pays for the taxes (and more) I always owe for previous year. I’ve estimated my LIRA/LIF withdrawals will be about 2.86% of $40-$45k CDN so $1,444 per year around age 55. I will kill off the LIF first in semi-retirement and even at the maximums it will likely take about 8-10 years to zero out. Ideally, and I think I can do this, when I unlock the LIRA I intend to move 50% of the assets into my RRSP. It will be easier to shut down this LIRA/LIF account this way. I own 6 bank stocks 30%, reits just 1 – riocan. I can’t find any interesting reits to buy. Looking for reits in which dps is well covered by eps and that increases dividends yearly. Any thoughts? Canadian reit was on my list but it has been bought over. Price shot up to $50 . A lot of discussion about REIT’s here. I have happy story. We sold our HR and Rican last fall I think. My better half said we needed some companies outside of North America so she picked another REIT listed in Canada DRG.UN. (properties in Germany, Austria and Belgium). It was $9., paying 9% dividend and I thought, “OH NO”. Well we bought 1600 shares and now it’s over $13. and payIng over 6% dividend!!! I said on Monday “let’s sell” she says “no, no,no let’s buy more”. I did as I was told and the darn stock went up another 70 cents. Moral: Listen to the advice of your better half! Mine has nothing to do with the markets. Very good and fair question. I bought it back in Mar, 2014 when I was really doing a major search for yield (to get up to & past having enough dividend income to live off). I thought about just going with a preferred ETF like CPD or ZPR but liked FIE’s higher yield, diversity, and some extra financials. I actually don’t mind a little ROC (FIE’s is 30% ROC, 20% cap gains, 50% divs) as long as the ETF/stock price doesn’t decrease too much (ie: nets >4%/yr with dividends factored in). In this case, I bought at $7.25 and it’s now $7.53 so we’ve gotten a very nice 6.4% yield and a bit of capital appreciation. It’s all in a non-reg account so we’re sitting on a pretty good size capital gain (with all the ROC and price gain) so I feel a bit trapped at this point. As an aside (like many others in my age group), in the 1980s and 90s, we focused on paying off our mortgage (those 17% mortgage rates will do that) and put any extra cash mainly into GICs (what’s not to like about an 11% interest rate). After paying the house off and in the late 90s through 2009, we just put everything into mutual funds and didn’t pay much attention. After the big 2008-09 crash and with the kids having moved out, I started to get interested in investing. We bought our first stock in May, 2009 (BCE at $24.15). In 2013 just before retiring, we converted from the accumulation phase to the income phase and did a major re-working of our portfolio between early 2013 and mid-2014.Since then, there’s still been some juggling and tweaking but things are now to where we feel really comfortable and pleased with our investments. We just sit back and collect our dividends and ignore all the short term fluctuations. The short term market has gotten totally irrational and I blame it on all the automated trading, people shorting, etc. Good post Don. A lot of people assume that the investing tools and environment we have and see today has been around forever. It hasn’t. ETFs, discount brokerages, ultra low interest rates, etc etc are all relatively new for us older folks. Heck, at one time stock prices were quoted in eighths and almost had to be bought in board lots. While FIE may have a relatively higher MER, it could give a person exposure to significant financials (SLF, MFC, PWF, etc etc) that they might not otherwise be buying. If a person had their $5K TFSA to invest, they could buy an individual bank and be exposed to that one stock with little opportunity to DRIP. Using FIE as a building assets method with the intention to diversify later is not that bad of a plan. The assets within FIE are gaining each dividend increase over the years so theoretically it could earn its way to reducing the ROC component (as long as they don’t raise the payout itself). Furthermore, the ROC/capital gain issue is moot in a sheltered account. Thanks for replying and sharing your story! My journey is very similar. Bought my first house in 1982, mortgage 17% lol. Started my RRSP with investments in mutual funds at age 34 in 1984. Decided to go with a full service financial advisor in 1999 until 2008. That was a bad move as my returns roughly equaled my advisors fees over the period. Thankfully I discovered DGI in 2007 and released my advisor to go it alone in 2008. Tough sledding to begin with during the financial crisis but my dogged determination to keep adding in paid off in spades during the recovery period and bull run. Through it all my dividends grew every year, even in 2008. I retired in late 2011 at 61, stopped adding in new money in early 2012, moved from AB to BC in 2016 and started distribution phase this year by converting my RRSP to a RRIF. We didn’t need to tap the investment earlier because my company pension, CPP, OAS and wife’s working income were sufficient. However, our move into a more expensive province created a mortgage for us again. I paid that off this year by selling off a chunk of the non-registered stocks. I didn’t dare touch EIF as my capital gain on it is nearing 200%. You mentioned owning ZWB. I own the mutual fund version of it (GGF31765). My BMO account allows me to add deposits into it as small as $50 without commissions. Good place to put dividend income to compound sooner than waiting for a $500 minimum add plus, being a mutual fund, partial units apply. Thanks back at you for sharing your story. It’s always great to hear what other retirees are doing. Don: FIE is a great example of why not to hold etf’s. Go to Google Finance and look at its 10 chart. The dividend dropped back in Jan 2009 from 5.5 cents to 4 cents and it’s never increased it since. The price of the etf also has gone nowhere, never reaching it high price back in May 2008. Today there are tons of articles where the new concern is inflation. AX.UN has certainly been spanked in the last 5 years. It had a huge chunk in Alberta office space. They have been making a very successful effort at reducing their Alberta exposure and moving more to the States. I think they’ve really turned the cornet and I think it’s actually a good investment at this point. They were up 11% last year so that’s good news. Their AFFO payout ratio for Q4 2017 was 108% but I think this will come down with their recent purchases (including the remaining 50% of two Denver offices on Thurs). I would obviously like to see them thrive like most Canadian companies. Like I mentioned, the yield is scaring me off to date. Haven’t looked into SMU.UN (yet). I hold RioCan, HR, Dream, Cominar, Smart, CAR.UN, CREIT and some others. My next leading candidate is BPY.UN I think in my RRSP. Good. Bank called back and confirmed what I calculated. Conversions are at bank rate. No extra fees. Good news making this a non issue..at least for me and I suspect for others. Good to know. I had never even considered a bank charge for conversion. At one point we were over 8800 shares of BPY.un in the three accounts. After my conversion to cash last fall we’re down to just a shade over 5000. Wow, I hope to own a few hundred shares of BPY.UN! Double check with your own broker to verify if you care. Might be a different policy but I doubt it. That’s a large holding. High rollers like you make me feel like a pauper! My FA originally got us into the Brookfield stuff and he LOVED BPY.un. Once I got out on my own I realized that amount was a bit overboard and was looking for an excuse to reduce the holdings. It’s still too much but I don’t know what I’d do with the $$ if I sold some more so being lazy I just left it. I own a bunch of BIP and BEP and DRIPping both every quarter. I’m going to buy some BPY and put that in my RRSP. I’m also trying to increase by VYM holdings as well – growth and income over time. I will need the income in another 5-10 years. If I didn’t already have a whack of BPY.UN I’d buy more. As mentioned, I have some CDs being paid out on March 31 in the three RSP accounts and I think (for today anyways, I keep changing my mind) I’m gonna go with adding BAM.A and some TD e-series Euro to DW’s, add to IPL in my LIRRSP, and for my RRSP AQN (add) & PPL (new). (thanks to Don for the PPL idea). I hope to add to my AQN and PPL and IPL in the coming months. Pipelines are beaten up and AQN remains relatively cheap on a per share basis compared to other utility stocks. I hear you on the beaten up thing. Hard to say whether its just the beginning or the trough though. That’s great news then. Stop rates/bank rates are good. For sure. I’m happy the withholding taxes are virtually nothing too, at least so far. New to the website and have enjoyed what I have read so far. I’m a fan of a few other FIRE blogs and plan to get there myself in 10 yrs. As a fellow Canadian it is great to find this content focused more on the TSX and Canadian investing. I’m a self directed investor and have been building up a diversified portfolio over the last 9 years. So, my big question today is…..what to choose from the following. They all look like a buy right now, they fit well into my sector mix, and all have attractive dividends. Thing is, I really only have the cash on hand to buy enough to DRIP one of them in a non-reg account. Looks like it’s time to stick the names on the dart board and close my eyes…. 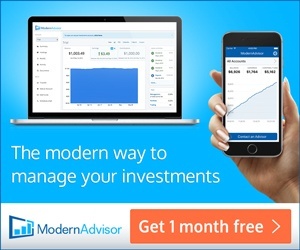 Jason, you may find the linked article, authored by the manager of the “Canadian Dividend All-Star List” and the blog “Dividend Growth Investing & Retirement”, to be of use in your selection. Thanks, that’s a good article and was probably what got me into this mess of indecision!! I was originally only considering ENB and TRP until I read it and CU and EMA caught my eye. I’m leaning towards the pipelines as I think there will be more negative impact on the utilities when rates go up. Hopefully by then I’ll have more cash to grab one of those on sale. Personally, I own them all and DRIP them all, in some cases multiple shares per quarter. As for which one is better, I think pipelines are very beaten up unnecessarily but that’s just me. Agreed on the pipelines. I ended up buying enough ENF for a monthly drip, and eventually that will be converted into ENB shares when the re-structuring is completed. Yes, the think that restructuring is a good thing for ENB.